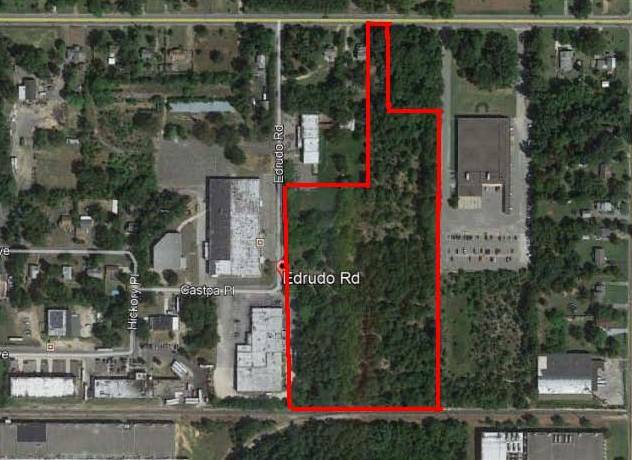 Industrial Development Property – Appealing opportunity to purchase an Industrial site consisting of 9.8+ Acres of vacant land in the heart of the City of Vineland, Cumberland County. This parcel is strategically located in the Industrial I-2 Zone, which allows for multiple uses such as light industrial, light manufacturing, warehousing, food processing, printing and publishing, outdoor storage facilities as well as various conditional uses. 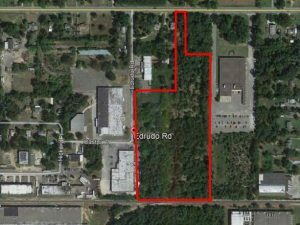 This is an ideal site offering road frontage on Almond Road for commercial development within the Urban Enterprise Zone (UEZ) and provides excellent access to the neighboring Vineland Industrial Park commerce area with the location providing access to city water, city sewer, electricity, natural gas and telephone service. This prime location offers immediate access to Route 55 (less than 1 mi) with the central location providing accessibility to the major Northeast Corridor transportation lanes – NJ Turnpike & Rt 295. In addition, the proximity to Rt 40, Rt 49, Rt 55 & AC Expressway provides easy commuting throughout Southern New Jersey, Philadelphia and Delaware region.